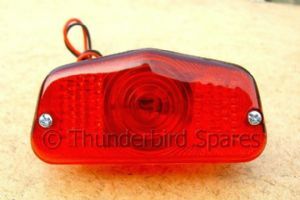 This is a replica Lucas 564 rear light as fitted to the majority of British Bikes from 1955 -70 (UK),1955 -66(USA), all the Triumphs used it as well as BSA, Norton, AMC, etc. 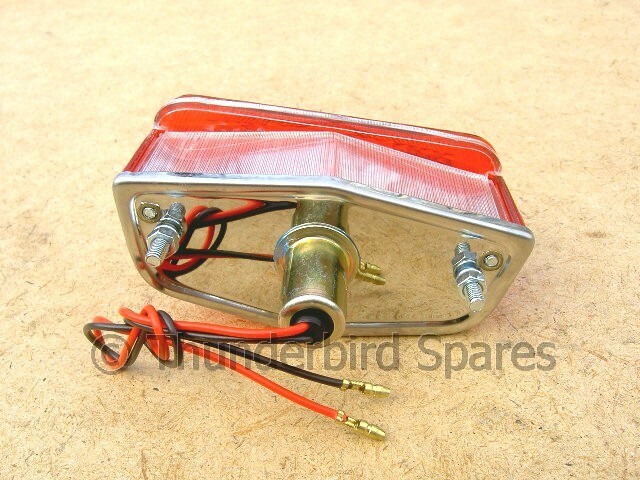 It comes with 12v bulb and wiring and has a stainless steel backing. If you want it supplied with a 6v bulb let us know when ordering.